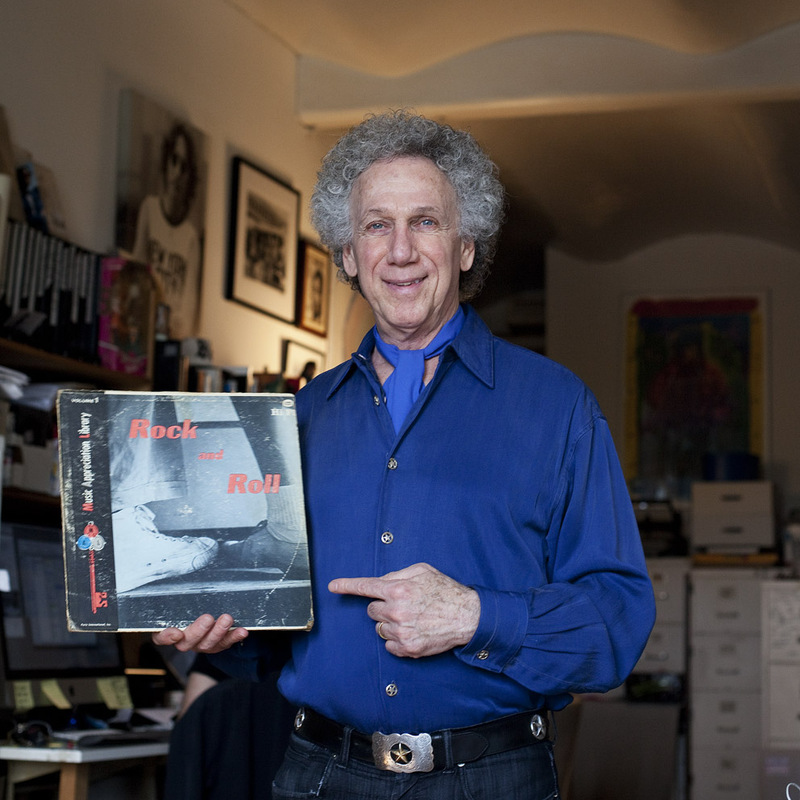 Bob Gruen: Photographer: BOB GRUEN: PHOTOGRAPHERS: ONE LP PORTRAITS: ONE LP is a project by photographer William Ellis in which musicians and other people in the arts are portrayed with a favourite album and tell why the recording is so significant to them. “I have a lot of favourites you know, in fact when I was asked to make a top ten album list I came up with twenty five! Like 1A, 1B, 1C – I can’t pin it down to ten! This is one of the first albums I ever bought, it’s actually a French record from a French jazz concert when rock ‘n’ roll was just beginning. It doesn’t have any vocals, it has saxophone leads. I’d play it to you except that my turntable’s broken right now.